When you go on a holiday abroad what you least expect is to find dedication to Kelly Sildaru at a sports store at the ski resort in Chamonix, France. I'm truly proud to be an Estonian! Read on to find out why! She won women's slopestyle at 2015 Dew tour. Kelly won Gold in the slopestyle event in the 2016 Winter X Games beating Tiril Sjåstad Christiansen. 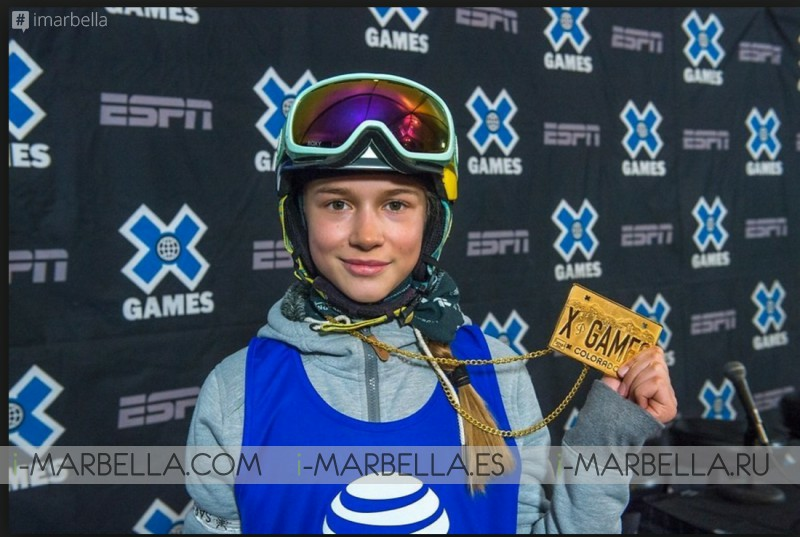 With this win, at age 13, Kelly became the youngest gold medalist to date at a Winter X Games event, and the first person to win a Winter X Games medal for Estonia. Kelly won Gold in the slopestyle event in the 2016 Winter X Games beating Tiril Sjåstad Christiansen. Annika Urm find dedication to Kelly Sildaru at a sports store at the ski resort in Chamonix, France. I'm truly proud to be an Estonian! In 1741 two Englishmen, Windham and Pococke, discovered the 'Chamouny' valley and its glaciers. Their expedition was met by a rural population of mountain farmers, and a humble monastery. This community lived off animal husbandry and a sparse harvest of oats and rye. Windham and Pococke explored the valley and visited the Mer de Glace (Sea of Ice). The stories of their exploits, published in literary journals throughout Europe, started a craze to find out more about Chamonix. Chamonix is one of the oldest ski resorts in France and is known as the "gateway to the European Cascades." By 1783, celebrities such as Saussure, Goethe and Bourrit, had visited the valley and raised its profile. Around 1,500 visitors ventured to Chamonix each summer. Two local men Paccard and Balmat, made the first ever ascent of Mont Blanc in 1786. The first luxury hotel was built in 1816 (The Hotel de l'Union), followed by 'la Couronne', 'le Royal' and many more. In 1821, 'La Compagnie des Guides' was created following an accident on the Mont Blanc. Until the end of the 19th century, mountain guides were the main economic power in Chamonix. However, from the beginning of the 20th century with the construction of numerous hotels, the hotel industry become the predominant economic power in the valley. In 1860 a carriage road was built joining Geneva to Chamonix via Sallanches. Between 1908 and 1910 Chamonix took on its present rhythm of winter and summer tourist seasons. In 1924 Chamonix hosted the first Winter Olympic Games. Skiing was introduced in Chamonix at the end of the 19th century by Dr Payot. The first big winter season was in 1906-07. Much of the initiative came from the 'Club Alpine Français' which organized a local winter sports competition.